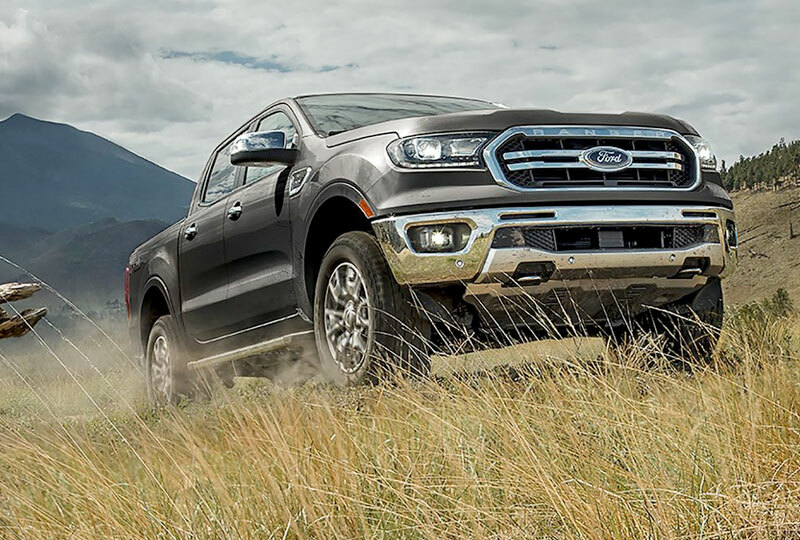 The 2019 Ford Ranger from Al Packer Ford West Palm Beach in Florida, serving Palm Beach Gardens and North Palm Beach, is top of the line in tow capacity and more. This midsize pickup truck features a 2.3L EcoBoost® twin-scroll turbocharged engine with 270 horsepower and 310 lb.-ft. of torque. The standard 10-speed SelectShift® automatic transmission with tow/haul mode and optional 4x4 handling truly make it stand out. With a best-in-class max towing capacity of 7,500 pounds (when properly equipped), you know you'll never go wrong. Even better, you get all of this work capacity with comfort, safety, and style. Ride easy on cloth front bucket seats in either the SuperCab or roomier SuperCrew configurations. Whichever you choose, front and rear steel frame-mounted bumpers add superior ruggedness and durability. All technology is up to date with enhanced safety features like pre-collision assist with automatic emergency braking1 and optional adaptive cruise control, Blind Spot Information system, and lane keep assist. Feel confident off road when you utilize the available Trail ControlTM with Hill Descent ControlTM as well as the optional Terrain Management SystemTM with four selectable drive modes. If you prefer to stay in your lane, never worry when using available voice-activated navigation with Sirius XM Traffic and Travel Link® or an optional in-vehicle Wi-Fi hotspot for up to 10 devices. Right now is the best time to buy a new Ford! Our 2019 inventory is growing, so browse online, and then visit us at 1530 North Military Trail to take a test drive. We can't wait to see you drive home in the 2019 Ford Ranger you've always wanted! 1 Safety features are not substitutes for safe and attentive driving. See Owner's Manual for important details and limitations. Enjoy driving fun to the max with the FX4 Off-Road Package. Included are tuned monotube shocks, all-terrain tires, electronic-locking rear differential, exposed steel front bash plate and undercarriage skid plates. Plus Terrain Management System™ and Trail Control™ technology. Raw torque rules when you're powering up, over and through rugged all-terrain conditions. 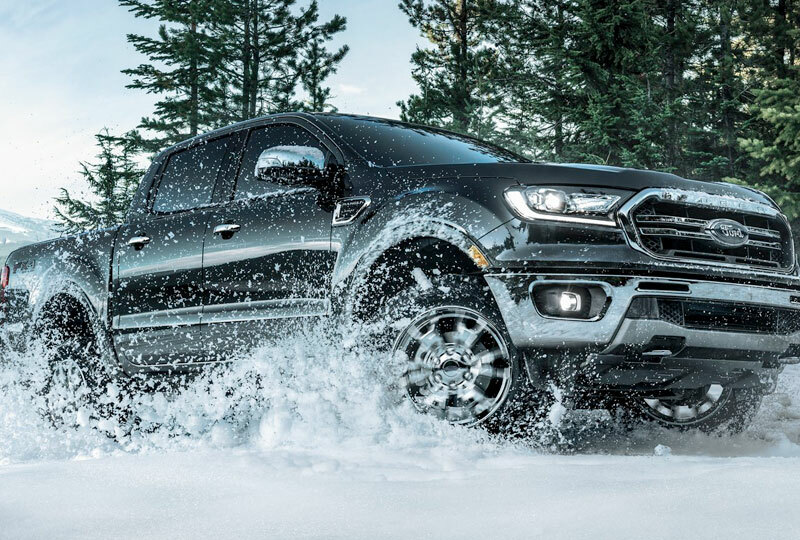 And the new Ford Ranger with potent 2.3L EcoBoost® beats other gas-powered pickups in its class with a torque rating of 310 lb.-ft. And with all that muscle, the Ranger is also the most fuel-efficient gas-powered midsize pickup in America. 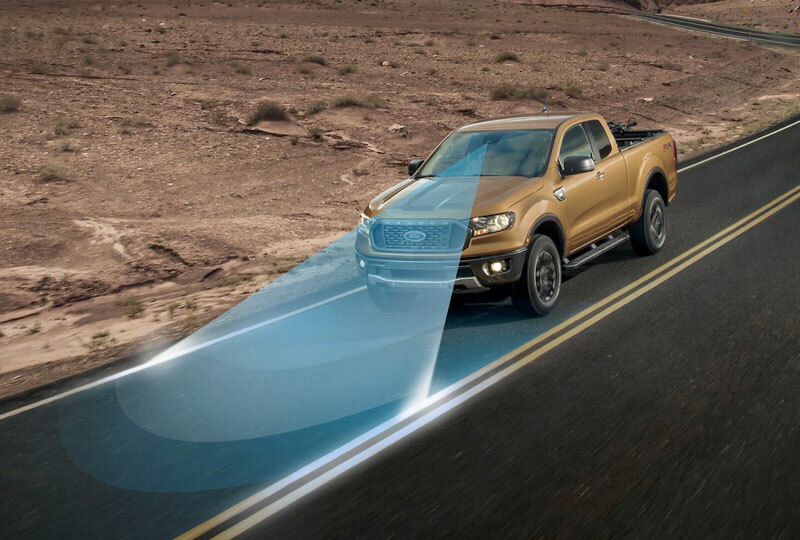 Introducing Ford Co-Pilot 360™ - driver-assist technologies that can help you navigate our increasingly crowded roads and highways with greater confidence. Features included are Lane-Keeping System, BLIS® (Blind Spot Information System) with Cross-Traffic Alert and coverage for both the truck and trailer, Pre-Collision Assist with Automatic Emergency Braking, Auto High-Beam Headlamps, and Rear View Camera. Ford Co-Pilot 360™ comes standard on Ranger XLT and LARIAT and is optional on Ranger XL. 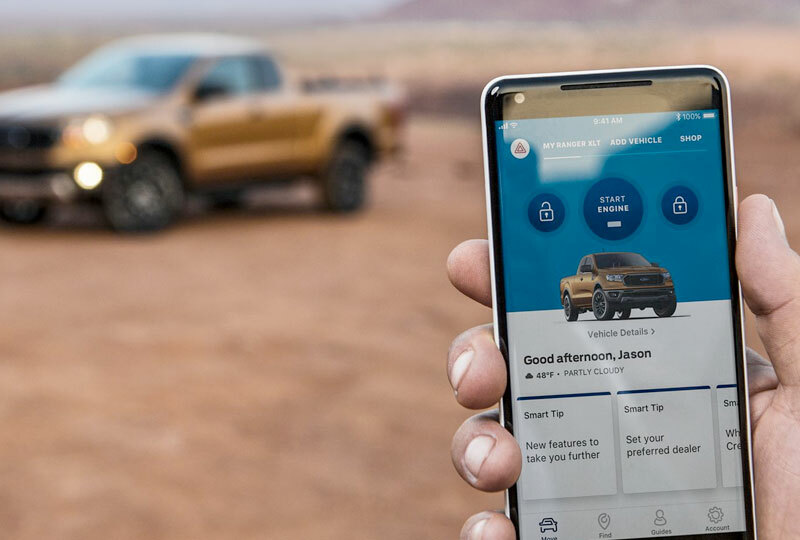 Get away on a weekend adventure in your Ford Ranger and stay connected with FordPass Connect™. It features 4G LTE Wi-Fi hotspot, powered by AT&T. Up to 10 devices can connect at once, and you can use FordPass to keep track of your Wi-Fi data usage. Also, you can access the hotspot from up to 50 feet outside the vehicle. Class is Midsize Pickups based on Ford segmentation. EPA-estimated rating of 21 city/26 hwy. Driver-assist features are supplemental and do not replace the driver's attention, judgment and the need to control the vehicle. Lane-Keeping System does not control steering.